Dr. Carl Durand was born and raised in rural Manitoba and attended the University of Winnipeg, graduating with a BSc in Biology in 2008. He then attended the University of Waterloo and graduated on the Dean’s Honour list as a Doctor of Optometry in 2012, with special recognition for Clinical Excellence. Dr. Durand has been working with First Choice Vision since 2012 and currently services all 8 of First Choice’s locations across Newfoundland. Dr. Stephanie Powell grew up on the Northern Peninsula of Newfoundland in Port-au-Choix. She attended Acadia University in Wolfville, Nova Scotia on a four-year scholarship, where she earned her BScH in Biology and graduated as a University Scholar. During her studies, Dr. Powell conducted honours research in the lab of Dr. Kirk Hillier, where she studied olfaction and learning capability of Heliothine moths, a major crop pest in Nova Scotia. While completing her degree, she also worked as a Resident Assistant, volunteered on her Residence Council and as a New Student Orientation Leader. In her final year of study, Dr. Powell was voted the Life Secretary of the Grad Class Executive of 2011, a position she continues to hold as an Alumnus. Dr. Powell earned her Doctor of Optometry degree at the University of Waterloo in Waterloo, ON, where she graduated on the Dean’s Honour List. Upon her acceptance, she was awarded the Dr. John Snow Memorial Scholarship. In her first year of study, she was voted into the school’s student society (UWOSS) to organize annual social events. She also volunteered her time during the school’s orientation week and annual interview day. In her final year, Dr. Powell completed Primary Care rotations in Corner Brook and St. John’s, NL. 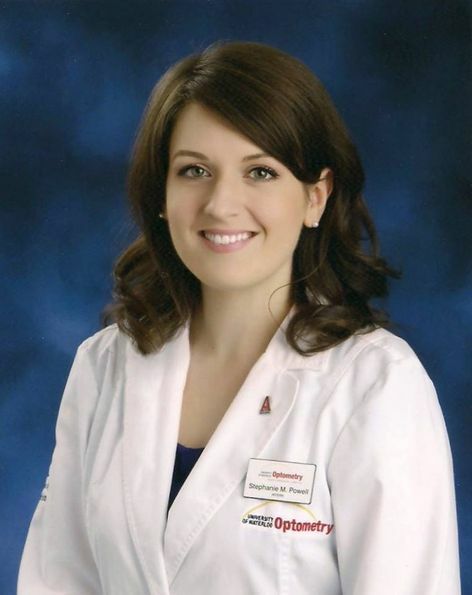 One of the highlights of her optometric education was spending three months in Pinellas Park, Florida, studying ocular disease at Eye Associates of Pinellas. She saw patients under the supervision of Dr. Salvatore Musemeci and worked alongside ophthalmologists: observing cataract surgeries, laser procedures and ocular injections. While she enjoys all aspects of optometry, Dr. Powell developed a particular interest in pediatric optometry and contact lenses. 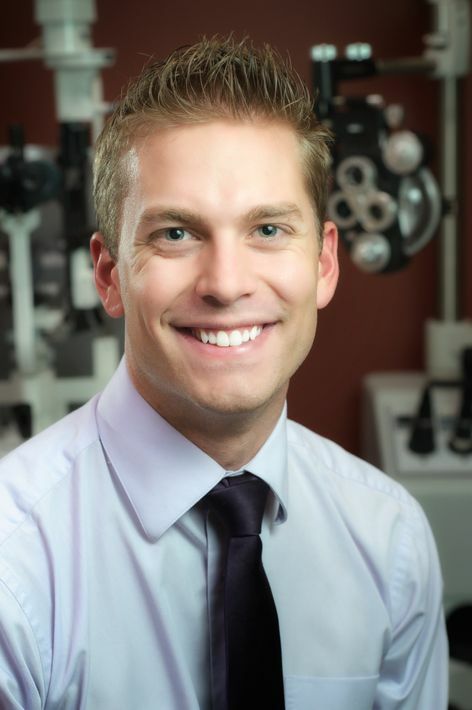 Outside of optometry, Dr. Powell enjoys music and theatre, hiking, reading and travel. She is happy to be back on the beautiful West coast of Newfoundland and looks forward to being your eye care provider! Dr. Andrew Wood was born in Lewisporte Newfoundland. He attended Memorial University of Newfoundland, graduated with a Bachelors of Science in Biology and Psychology. From there he moved to Cardiff, Wales, UK to study Optometry where he graduated in 2012 with first class honors. He then undertook a year externship in London England, working in primary care, including on London’s Harley Street, and alongside Ophthalmologist, and retinal specialist, Dr. David Bessant on weekly rotations in private clinics and Moorfields Eye Hospital. Dr. Wood began working for First Choice Vision Centre in 2010 as a student and became a full time optometrsist at the Grand Falls-Windsor location in 2017. He also enjoys working at the Lewisporte, Harbour Breton, St. Albans and Marystown Locations. Outside of work, Dr. Wood enjoys spending his time with his family, taking frequent trips to their cabin, where he and his wife enjoy many outdoor activities with their two children. Dr. Michelle O’Quinn was born and raised in Stephenville, NL. She attended Sir Wilfred Grenfell College and Memorial University of Newfoundland, completing a Bachelor of Science Degree with a Major in Biology. Dr. O’Quinn then attended the University of Waterloo in 1988 and graduated as a Doctor of Optometry in 1992. Dr O’Quinn has been working with First Choice Vision Center in Stephenville and various satellite offices since 1992. 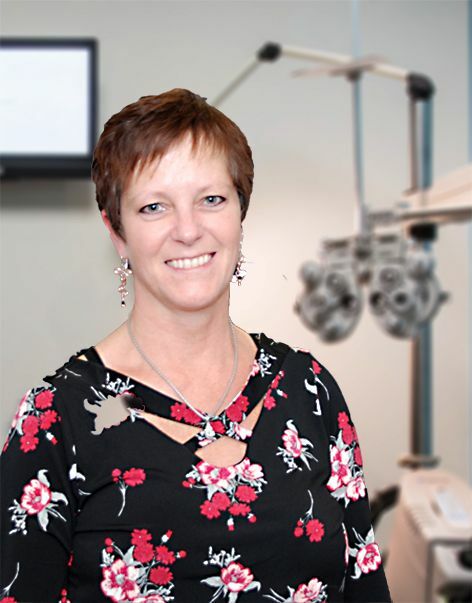 She has been an active member of the Newfoundland and Labrador Association of Optometrists council starting in 1995 and served as President from 1998-2000. She later served as a Director of the Newfoundland and Labrador Optometric Board from 2003-2008. Dr. O’Quinn has been involved in many community volunteer and fundraising events. Dr. O’ Quinn loves living in Western Newfoundland where she enjoys spending time with her family and taking advantage of the many outdoor activities with the beautiful ocean right in her backyard.